Edita de Jesús Ramos R This is an amazing deal. 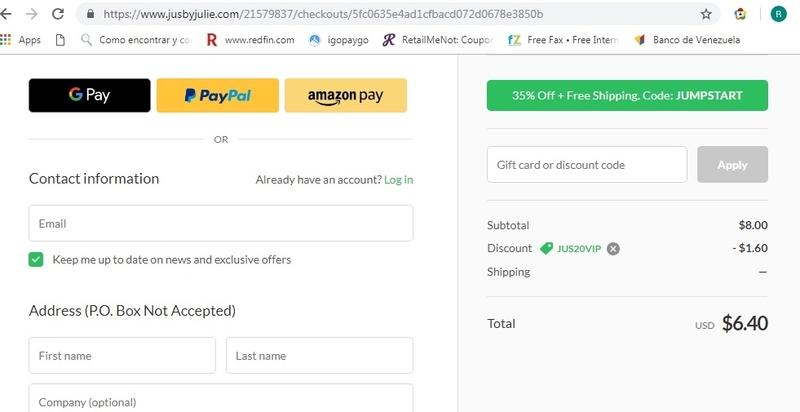 Simply enter the promo code during the checkout process to apply the discount. Some exclusions may apply. NESTOR NUÑEZ I am validating that this deal works as described. 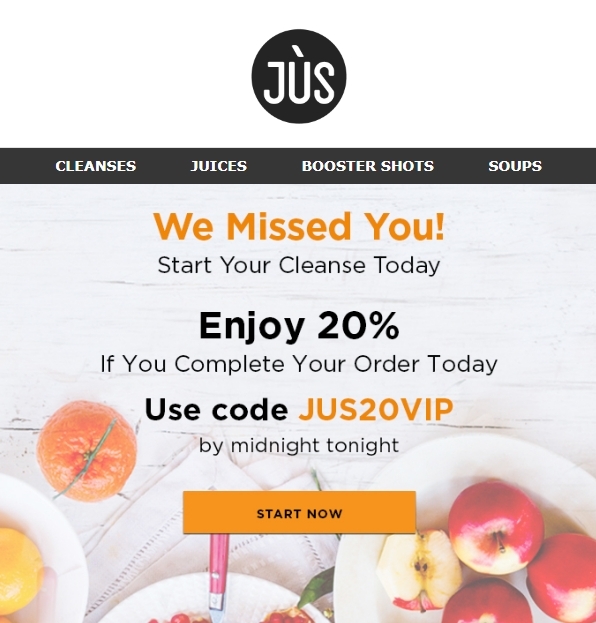 Just enter the code at checkout to get 20% Off Your Order at Jus By Julie (Site-wide). alexander precilla This deal was verified and it is working as described. Select the items and enter the promo code at checkout to get this discount. jesus navas Save 20% Off on Your Order at Jus By Julie (Site-wide). Use the coupon code JUS20VIP to claim your discount.Some Exclusions may apply to this offer. 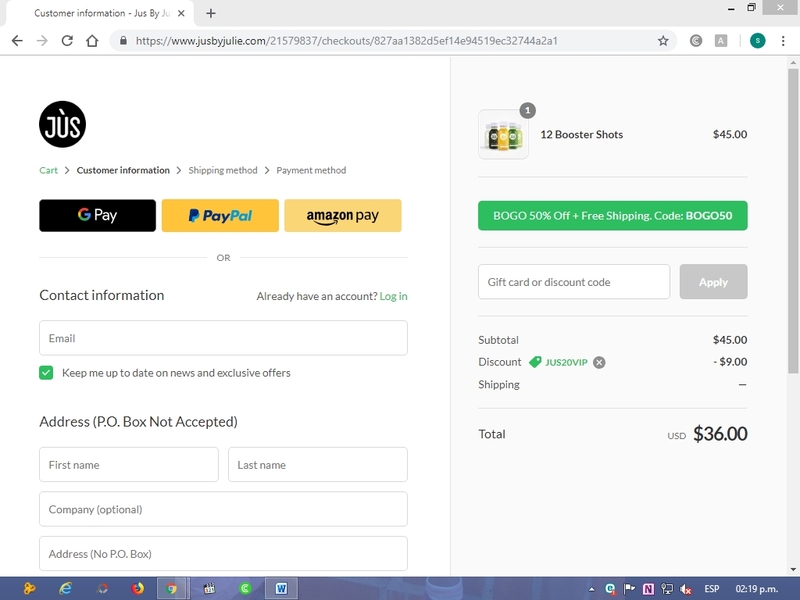 jesus navas This promo code is working as described, Save 20% Off on Your Order at Jus By Julie (Site-wide) by copying and pasting the promo code JUS20VIP at checkout in your shopping bag. 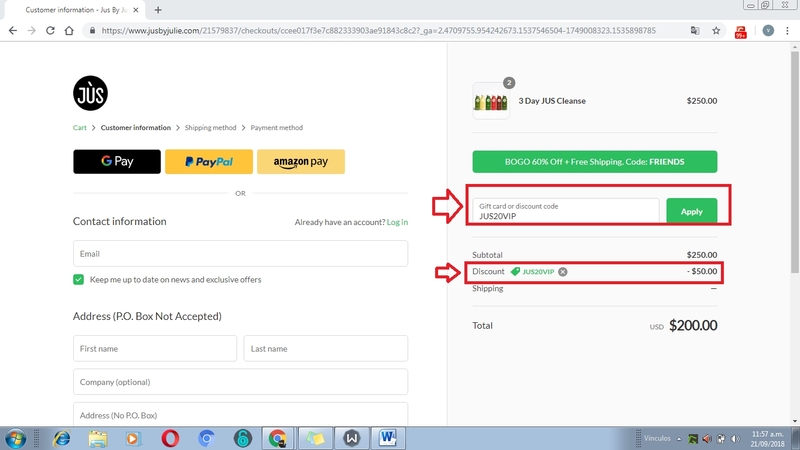 wM The promotion code is valid, works perfectly, simply add the selected item to the bag and enter the promotion code JUS20VIP in the check out process to receive the Discount. Some exclusions may apply. Maria Rodriguez I am re-activating this expired deal. 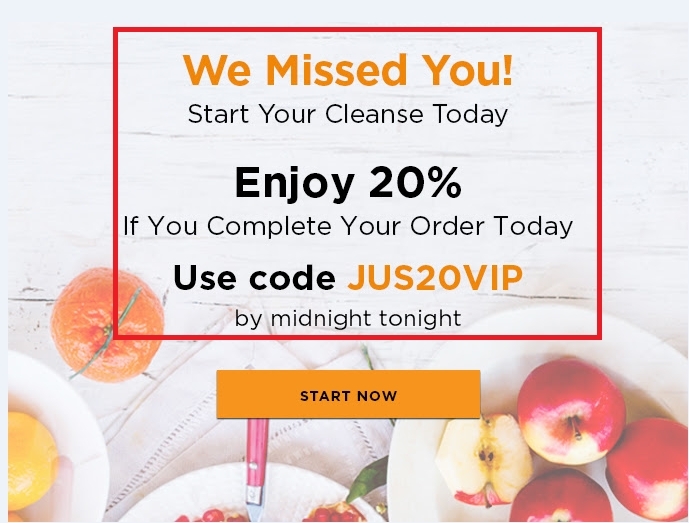 I will update it and validate that it works, enter the promocion code JUS20VIP during checkout to receive 20% Off on Your Order at Jus By Julie (Site-wide). Nury Del Carmen Pirona Tremont This offer is properly working, all you need to do is copy and paste the code at checkout to claim your discount. Enjoy.